Brian and I have experienced the Intracoastal Waterway in Virginia, North Carolina, and Georgia. Admittedly, we aren’t fans of motoring for hours and hours…but fortunately the ICW enables us to continue moving when weather doesn’t permit offshore passage. In VA, NC, and GA there were many opportunities to sail along the ICW. We could leave in the morning without a solid plan and late in the day scout out a creek on the charts that we could tuck into to anchor for the night. The scenery amidst frequent line-ups of traversing boats consisted of winding rivers, gaping sounds, and lush marshes that were alive with jumping fish, playful dolphins, herons on the hunt, cackling ospreys, and swooping pelicans. After a day or two of motoring, if the weather permitted, we could usually find a nearby inlet to pop out for a jaunt in the ocean. The ICW through Florida is a different animal. The winding rivers have transformed into straight canals; depths remain questionable. The marshes are gone and canal banks are lined with homes, docks, cityscapes, beach towns, and bustling roads. Bridges span overhead; some 65′ and others requiring a call on the VHF to request an opening for safe passage. (A great listing of all the FL bridges and schedules can be found here.) One can still catch a glimpse of herons, ospreys, pelicans, and dolphins. And now, manatees are abundant too. The challenge for us along this section of the ICW is that anchorages seem to be few and far between. (As evidenced by our running aground in search of a nook to drop the hook.) 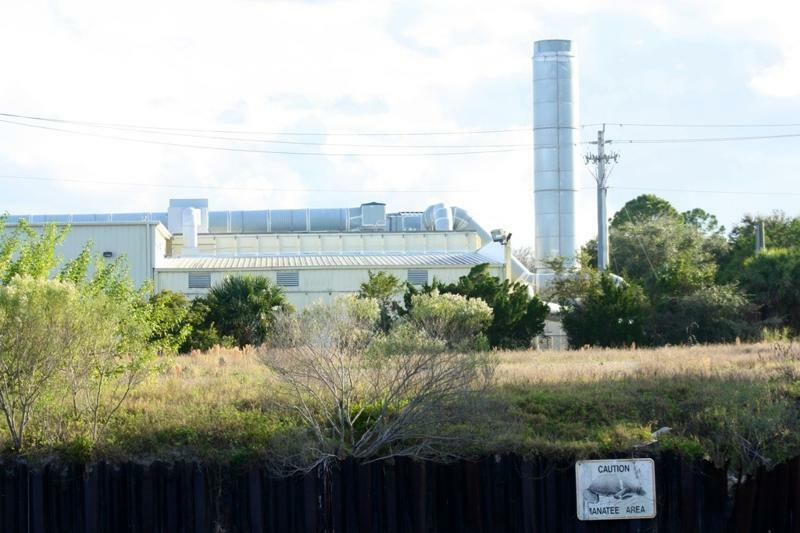 Inlets presenting opportunity to get offshore are also few and far between along Florida’s never ending coastline. We plan long days, but we hope to not motor into darkness. The changing tidal currents influence our speed (as they do all along the ICW); sometimes boosting us at a steady 6 knots, sometimes slowing us at 3 knots or less. We don’t push hard when motoring because we are diesel hoarders. This is why few anchorages make travel plans difficult; we cannot simply run until an hour before dark and then drop the hook. There are, however, ample marinas but that just goes against our cruising ways and budget. Fortunately, we have access to the internet while underway via our AT&T data plan. This has enabled us to search the infinite wisdom of Google in collaboration with our charts to find anchoring opportunities. 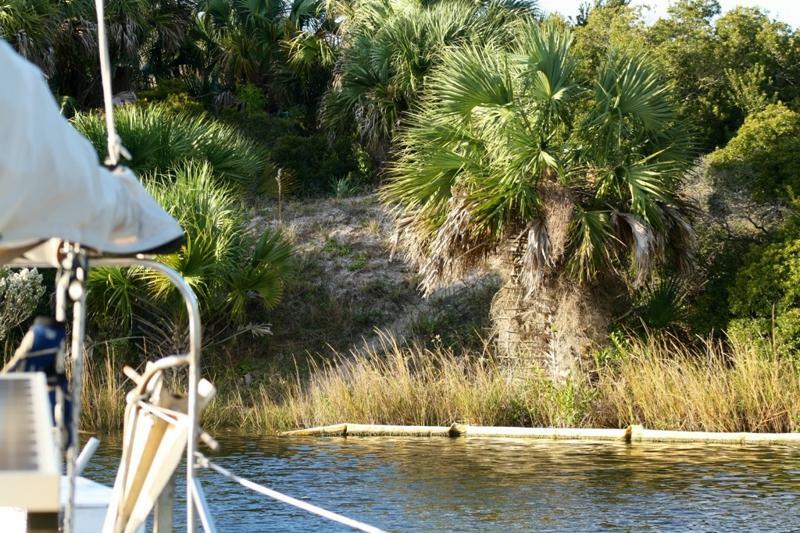 Some frequented cruising sites for this area are: ActiveCaptain, The Salty Southeast Cruising Net, and Dozier’s Waterway Guide. Imagine our dismay when searching to find nothing between St. Augustine, FL and Daytona Beach, FL…we’d be motoring all night! Thank goodness for the knowledge of fellow cruisers! We found one blog, and thereafter a few others, that shared with us this hidden gem. Thanks, Bill of s/v Galena, for great record-keeping and even better blogging! Of course, s/v Galena is a Westsail 32! 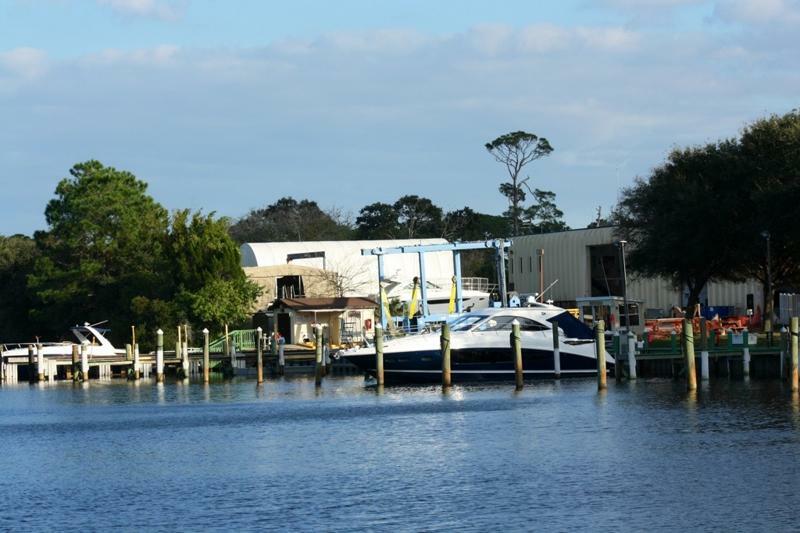 Along the shoreline are a few homes and a Sea Ray boatyard. To enter, it was recommended we favor the south shore. We favored the south shore, near the docks, and moved toward the center as we entered the canal. Depths at the entrance ranged from 5.2-ft, 5.5-ft, and 6-ft at high water. Through the canal depths were variable 6-ft to 7-ft. Continue past the Sea Ray boatyard to anchor at the end of the canal where depths increase, varying from 8-ft to 10-ft. These depths remained consistent when we exited the following morning, although at that time the tide was falling. There is swing room for light conditions with 3:1 rode; but you will find yourself close to shore. We shared this space with two manatees and one small sailboat. 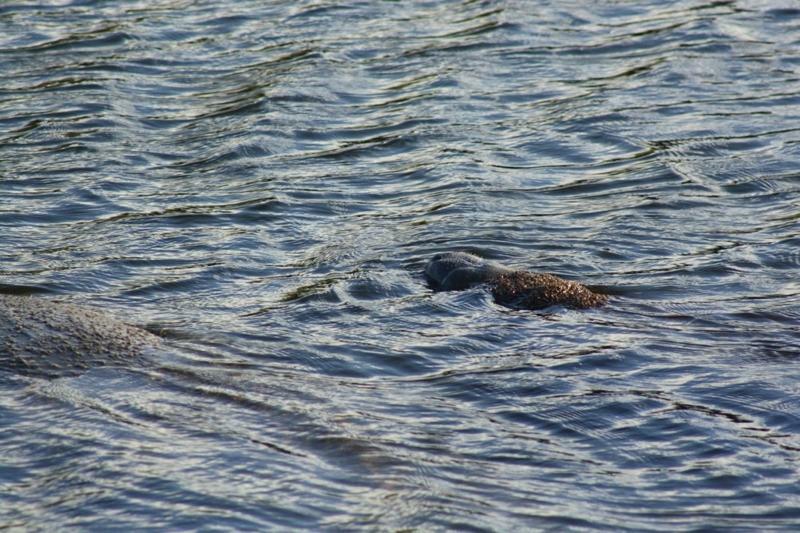 Below you can see the back of one manatee and the hairy nose of the other. This was the best view of the manatees that we saw as they lay atop the water, taking occasional breaths and seldom flicking their tails. 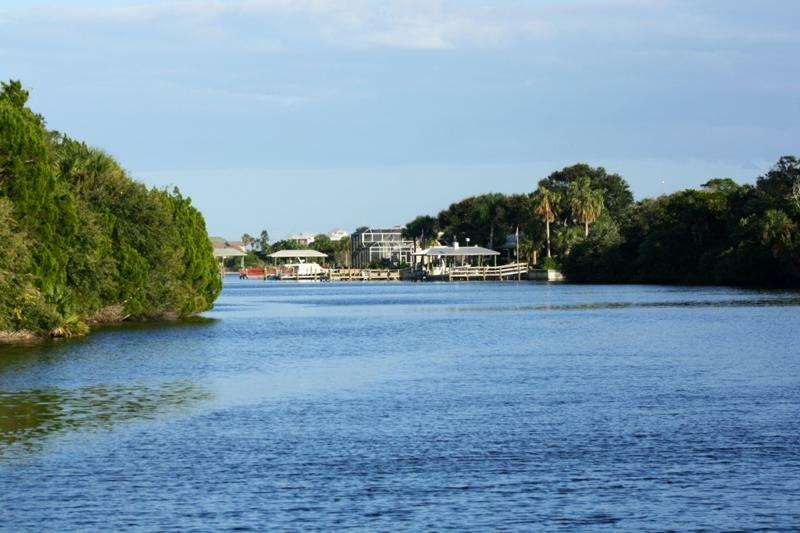 This entry was posted in Uncategorized and tagged active captain, anchorages between st Augustine and Daytona beach, anchorages on the ICW, anchorages on the Intracoastal, Cement plant, cruising net, Daytona beach, Daytona beach Florida, doziers waterway guide, eastern Florida anchorages, ICW, Intracoastal waterway, manatee, manatees, mile 809, salty southeast cruising net, sea ray, St Augustine, st Augustine Florida, waterway guide, waterways by stephanie. Bookmark the permalink. enjoyed reading about icw. hey, have a merry christmas. Merry Christmas to you, Clara! (Pass that along to Aunt Mary & Uncle Doug too!) Hope you all have a fabulous holiday and look forward to a wonderful New Year.